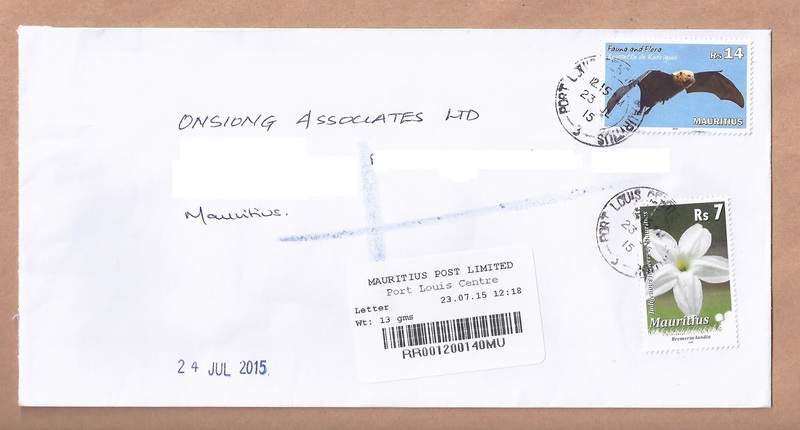 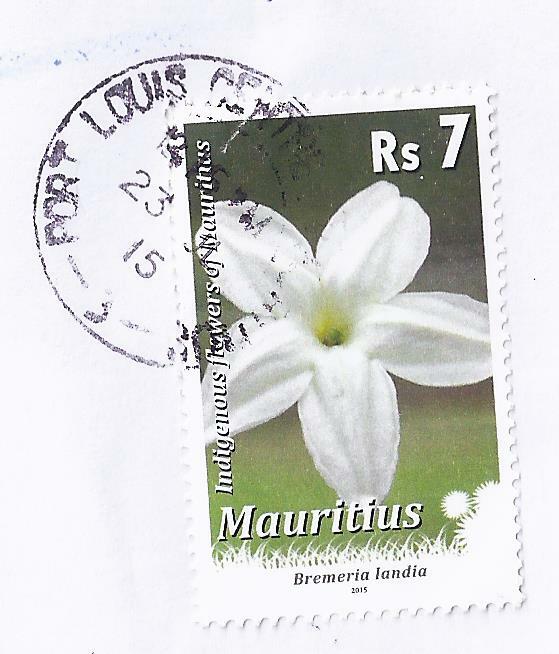 After September 2009 and March 2010, the Mauritius Post printed for the third time the Rs7 denomination of the 'Indigenous Flowers of Mauritius' definitive set issued on 9 April 2009. 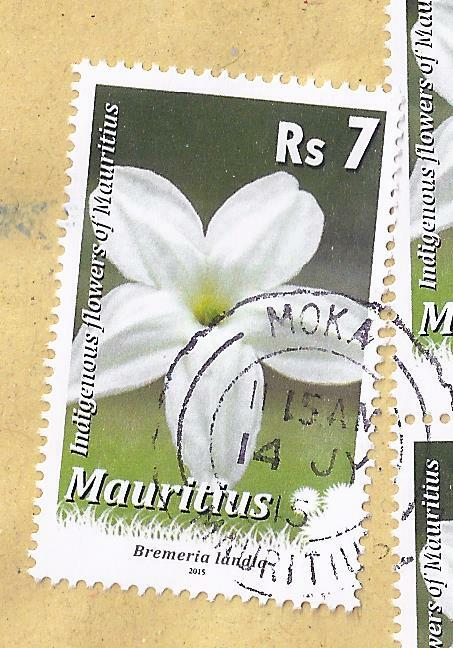 This new stamp was put on sale as from 9 June 2015. 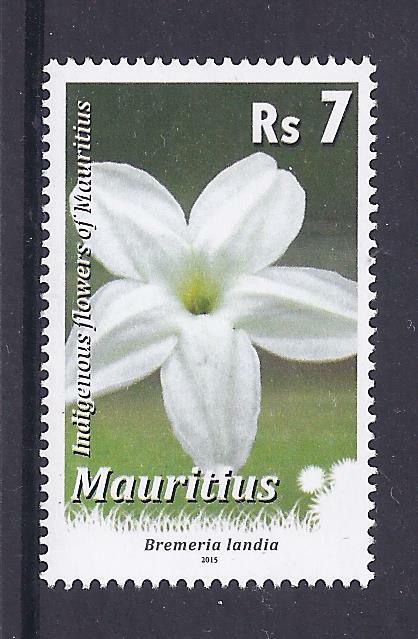 Only 100,000 of the original April 2009 Rs7 stamp were printed and 1,000,000 for each of the first two new prints (Mauritius Philatelic Society 25th Anniversary 1989-2014 Souvenir Magazine, 2015, p.39). 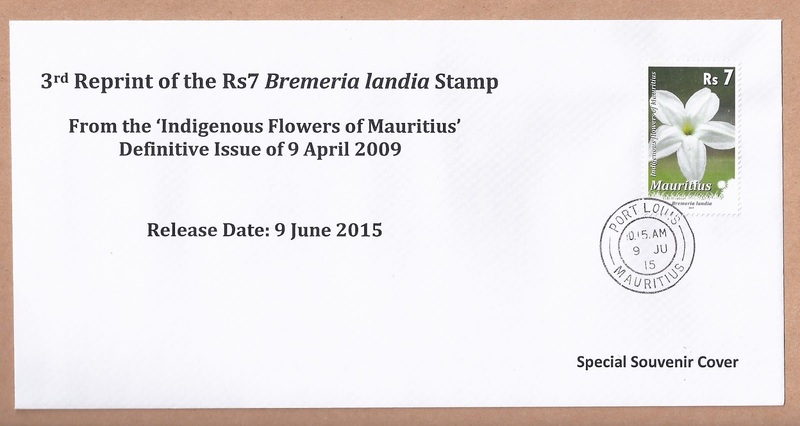 The two printings of 2009 can be distinguished with the naked eye, the first being darker than the second. 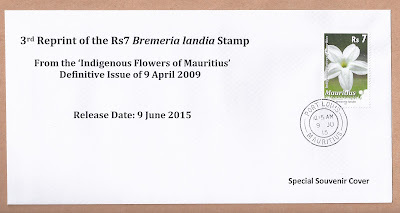 However they can be easily confused and the 1:10 ratio of the first 2009 print to the 2009 reprint makes the first 2009 print very rare. This third new print occured in a context of expected shortage of Rs7 (fee for inland priority unregistered letters of up to 20g) stamps since the last issue of a Rs7 stamp was the 'Dragonfly' stamp of the Fauna and Flora set of 28 March 2014. 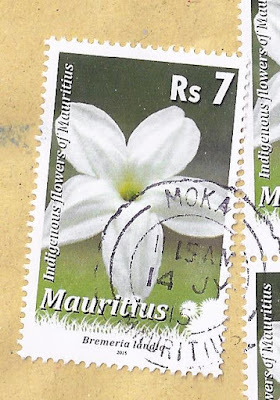 New postal charges effective as from 1 August 2015 - Rs10 instead of Rs7 for inland priority unregistered letters of up to 20g; Rs17 instead of Rs14 for inland registration - suggests that this 2015 new print will now be used in combination with other denominations to make up postage.